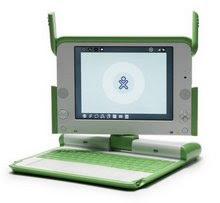 The three schools will be receiving 800 OLPC XO 1.75 laptops in November, generously donated by OLPC Oceania's Pacific private sector partner, The Bank of the South Pacific. Meanwhile, the University of the South Pacific (USP), which signed a Memorandum of Understanding with OLPC Oceania in 2011, has been conducting teacher training for the three schools the past week and will conclude its workshop later this week. USP reports the training has been going well and the teachers are very motivated. USP adviser Ian Thomson noted there were "three teachers who have never touched a key pad before and they were very excited. You can see the light bulbs turning on!" Mr Thomson said teachers from the selected schools had been training for the past four weeks and their feedback had been positive. Read more about the launch at The Fiji Times here.